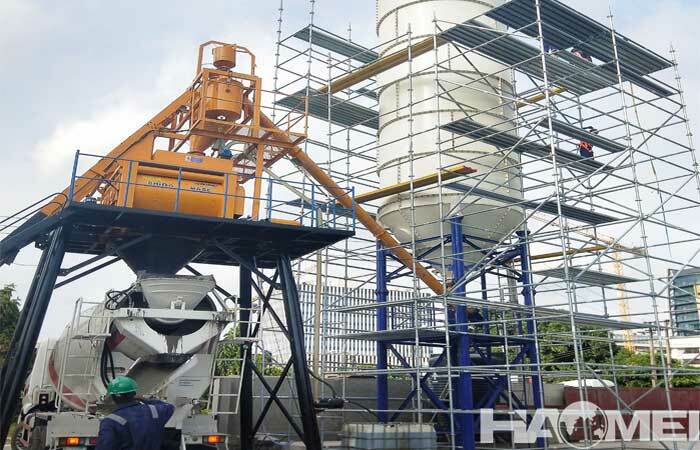 The bucket type concrete batching plant is a concrete mixing equipment launched on the basis of high-tech at home and abroad, integrating own manufacturing experience and user feedback, and constantly innovating, improving and perfecting. It is widely used in small and medium-sized building construction end engineering project. It has the characteristics of small land occupation, energy saving, high efficiency, safety and reliability, quick installation, good economy, green environmental protection, etc. It is an ideal choice for the construction units to produce high quality concrete. 1. Energy saving and efficient. 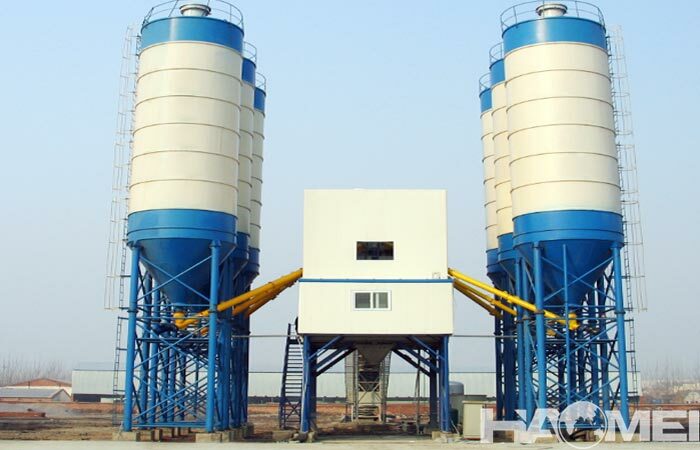 The models of bucket concrete batching plant are hzs25, hzs35, hzs50 and hzs60 concrete batching plant. 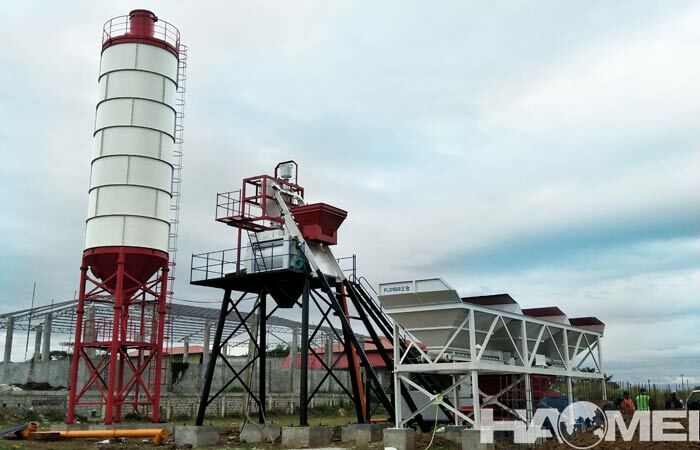 At the same production capacity, the skip type concrete batching plant consumes only half of the power of the belt type concrete batching plant. Use multiple limit protection to avoid loose rope, reverse winding, topping. Equipped with fall protection measures to prevent falling. The unique multi-rope lifting reel improves the life of the wire rope to 40,000 flights. Lifting bucket walking wheel, wire rope pulley and other large diameter, to ensure stable operation and increase the life of the wire rope. 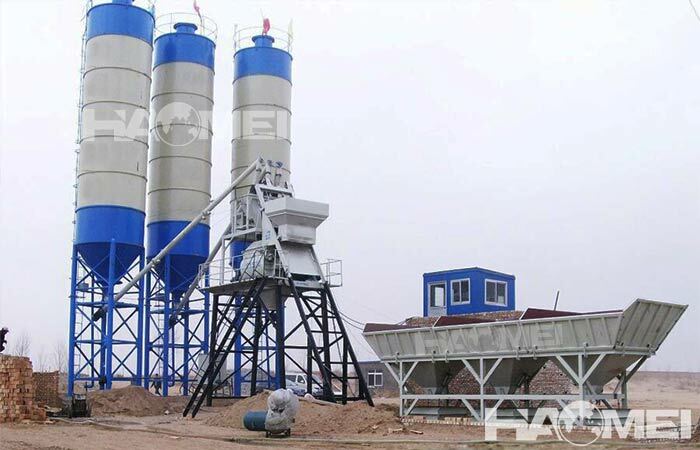 The design of the concrete batching plant is to minimize the investment of the user in the basic aspects, reduce the workload of the foundation construction, and increase the contact area between the equipment and the ground. The user can avoid to dig deep pits during the foundation construction, which greatly reduces the amount of concrete used. 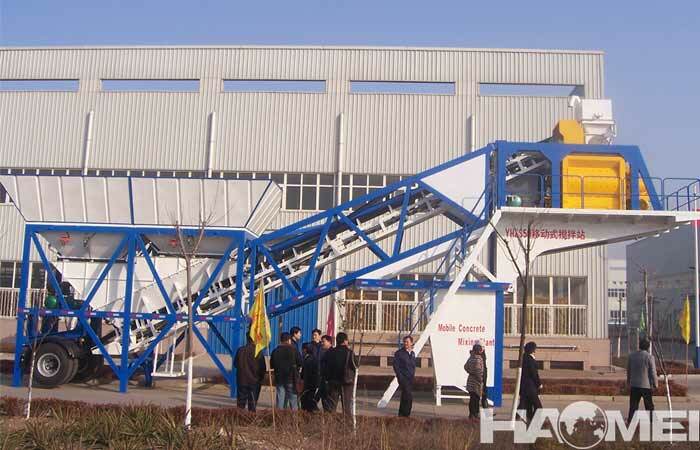 The bucket type concrete batching plant is made of metal, which is durable, long-lasting and recyclable. In addition, the station uses a pulse back blower to remove dust, breaking the traditional dust removal driven by the motor. Prev: How much does it cost to invest in a mini batching plant? 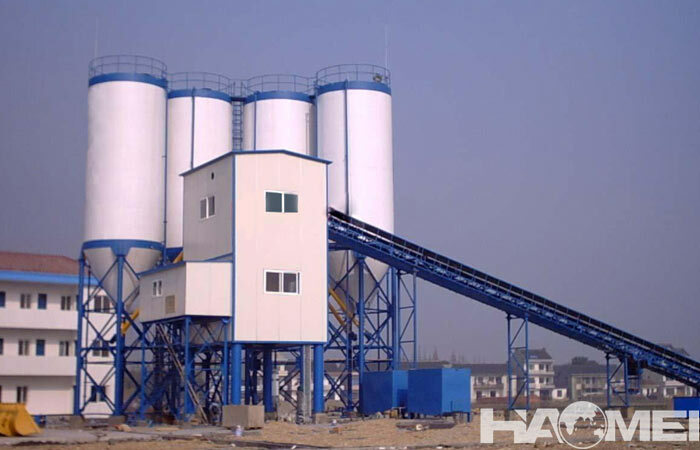 Next: How is the quality of concrete batching plant made in China?